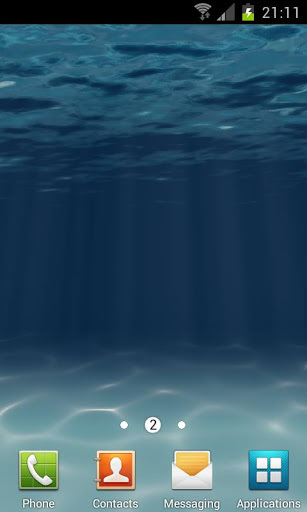 Submerge your device with this elegant live wallpaper. Calm and relaxing underwater ambiance. Free, without any advertisements. 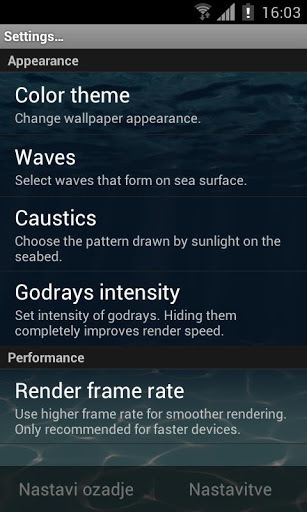 You can choose between two elegant water themes, set up the "godrays" intensity and choose optimal frame rate for your device. 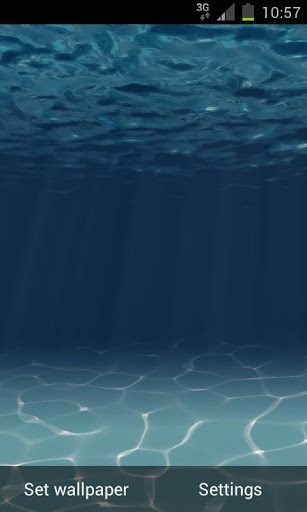 With the latest version you can also change the caustics pattern drawn by sunlight onto seabed. 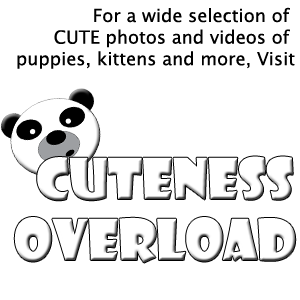 Once you have installed the Live wallpaper it can be accessed through the Live Wallpaper menu. To access the menu press "Home" > long press on background > choose "Live Wallpapers" > select "Under the Sea Live Wallpaper" from list.